Luke at 3 years of age. 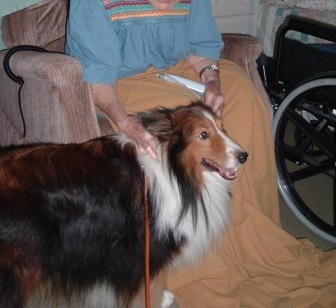 He was my second Sheltie and is now 14 years old. 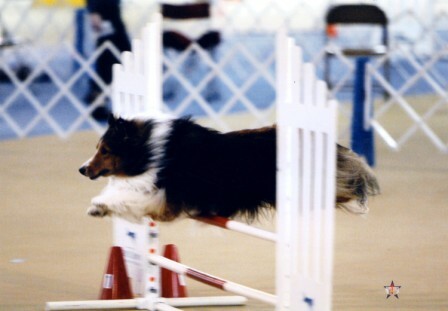 He loved agility so much. He is a very confident dog but so sweet. 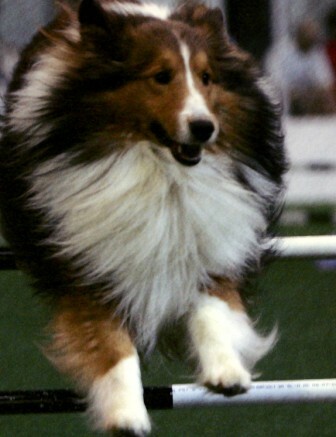 A typical Sheltie, when we would walk through the event areas he would ignore all the dogs unless they were Shelties. Then he would go over and say "hi". 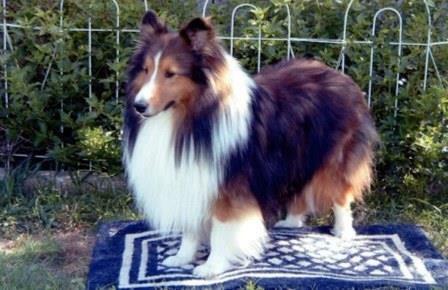 He is retired from agility and therapy and his main job now is to teach the puppies the proper Sheltie manners. Placing at the ASSA nationals in Utah. 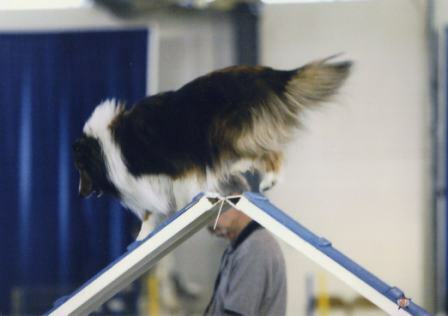 Placing in agility in Austin. 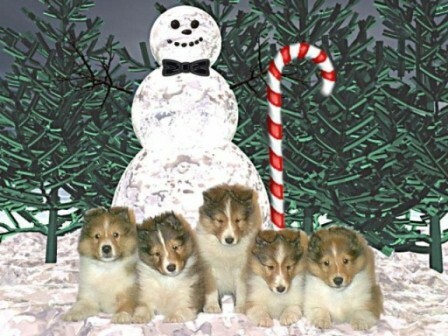 Luke (in the middle) his first Christmas.